How Are B2B Marketers Adapting to Today’s Talent Shortage? It’s not just you. A new survey report reveals the marketing talent crunch is very real, and affecting the vast majority of B2B companies. 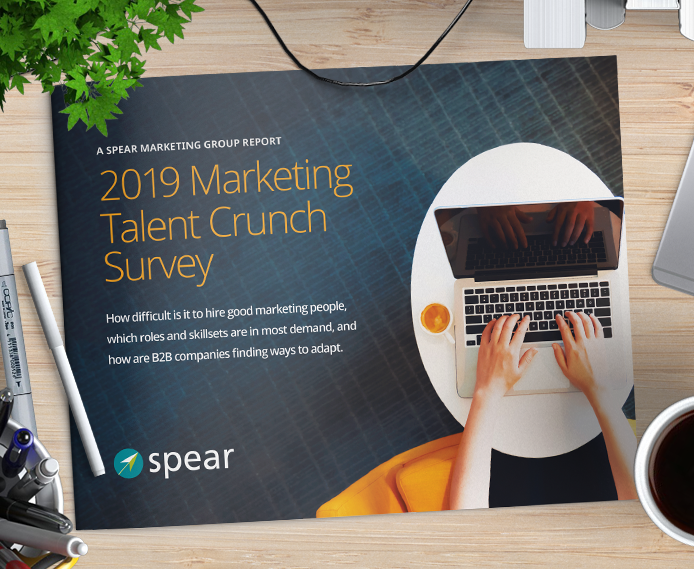 In the “2019 Marketing Talent Crunch Survey Report,” discover how your peers are dealing with the lack of hirable talent. Learn how long it takes most companies to find new hires, which skill sets are in most demand, and how your peers are adapting hiring practices in the face of today’s labor challenges. Explore expert analysis, key findings, and real-life recommendations from other marketers like you, in a comprehensive, 19-page report. An increasing number of marketing roles require a facility (at minimum) with marketing technology, if not direct experience with specific martech tools and platforms. This demand for technical skills exacerbates the talent crunch by shrinking an already limited universe of qualified candidates.